There are a little more than 3,000 small businesses throughout Arizona, according to Local First Arizona. 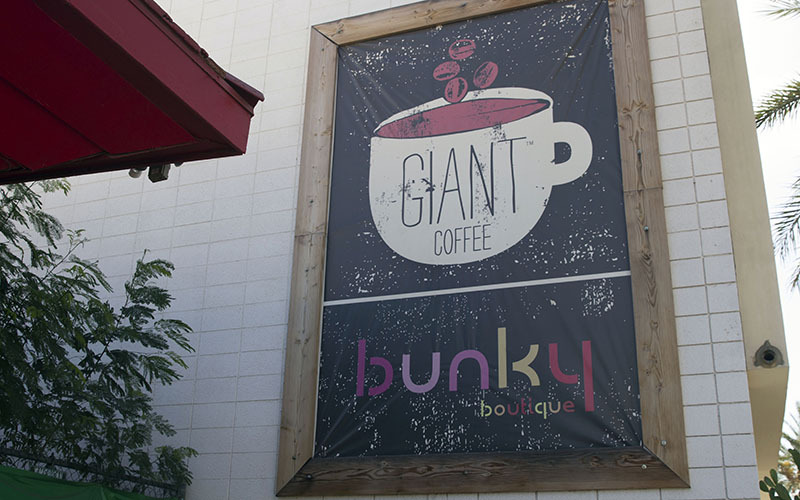 Bunky Boutique sells custom made jewelry from local artists to clothing from bigger indie lines. PHOENIX – Lauren Booth, merchandiser for Bunky Boutique, sits at the little wooden register in the corner of the downtown Phoenix store, stamping cards in preparation for the busy weekend to come. 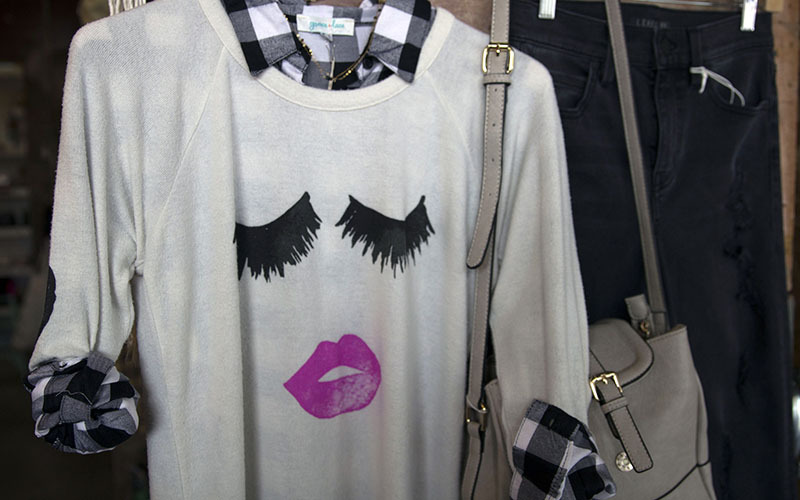 The weekend after Thanksgiving brings “a lot of people who shop locally,” said Booth, and with Bunky Boutique’s expansion to Phoenix Sky Harbor International Airport this past April, they have seen more customer traffic to their online shop as well. Rachel Cary, owner of Bunky Boutique, said in preparation for Black Friday weekend she takes the time to sit down with her team to analyze their sales tactics from the previous year. The promotion the store uses for Black Friday carries on to the other weekend festivities, such as Cyber Monday and Small Business Saturday, a shopping event marketed by American Express. 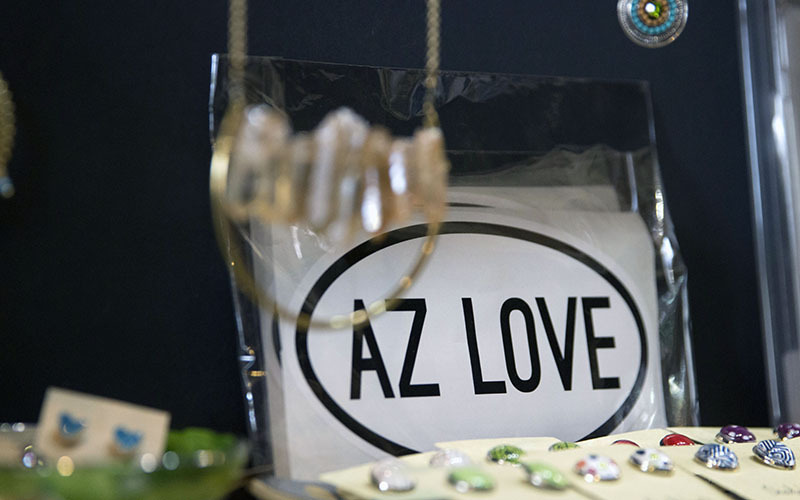 Cities across the state are taking the time to highlight local businesses with events like Alternative Black Friday at Cityscape in downtown Phoenix, where local vendors will line up to display their products. “I’ve seen more collaborations like this this year than any year before,” said Erica Fetherston, communication director for Local First Arizona, a nonprofit organization that works to promote locally owned businesses. Local First Arizona promotes small business events, such as Alternative Black Friday, through a blog post on its website, Fetherston said. They also finished organizing an online directory of a little more than 3,000 local businesses across the state to make shopping locally easier for customers. “We really work to promote shopping locally year round, but especially during the holidays when local businesses make four times the money,” Fetherston said. “They get to take home unique items that have a little story attached. It is a more relaxed and more thoughtful way of shopping,” Fetherston said.